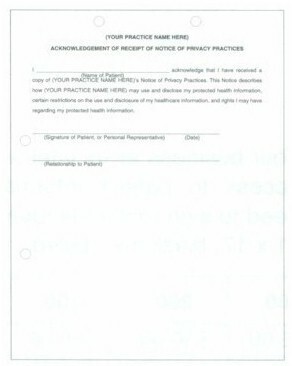 Acknowledgement of Receipt is signed by patients who have received notification of your practice's privacy policies (see Notice of Privacy Practices). Personalized with your practice name. •Hole-punched for easy insertion into patient chart. •Black print on white paper.